Since 1959, over 60 years, professional chefs and home chefs have shopped at Kerekes/BakeDeco for high quality products, competitive prices and great service. 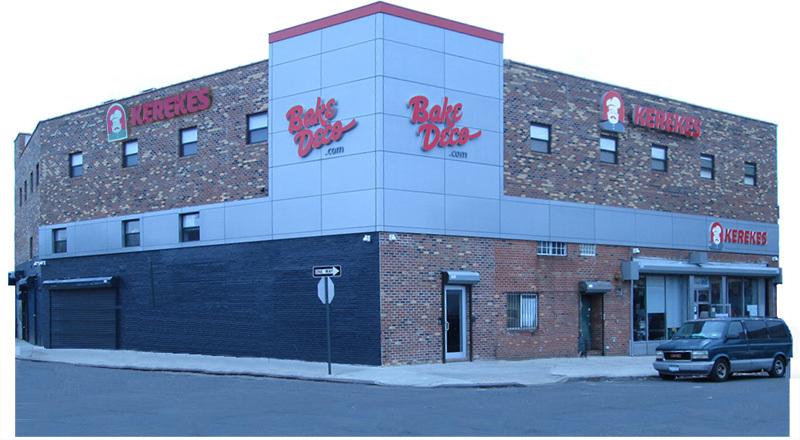 Kerekes/BakeDeco is a One-Stop Shop for commercial and gourmet kitchens, and bakeries. Thanks to you, our customer, we have grown from a small garage to a 20,000 sq. ft. showroom. Our website, www.BakeDeco.com features a full line of quality products for chefs and cake decorators. You will find new and innovative cake decorating tools, bake ware, and kitchenware throughout our website. At Kerekes/BakeDeco we are passionate about cooking, baking and cake decorating, and understand your need for high quality, durable & reliable kitchenware & cake decorating tools. We are certain that BakeDeco will be a useful resource in the preparation of fine cuisine. New, innovative items are added to the BakeDeco website daily. Be sure to browse often. Contact our knowledgeable and friendly staff via phone or email if you need help selecting and purchasing items. Most orders are shipped within 24 hours. We ship worldwide.